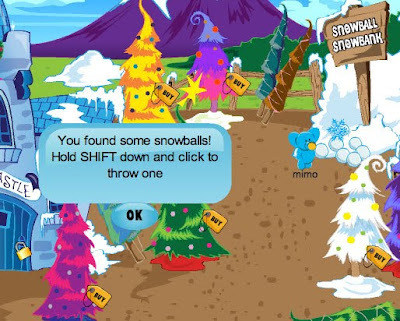 Club Penguin Cheats by Mimo777 Club Penguin Cheats by Mimo777: SNOWCONE IS STILL STUCK IN SHADDOW FALLS IN TOOTSVILLE! SNOWCONE IS STILL STUCK IN SHADDOW FALLS IN TOOTSVILLE! SNOWCONE IS STILL STUCK IN SHADDOW FALLS! Thats right Snowcone, Jacks holiday replacement is still the prisoner of Shade (BOO!). 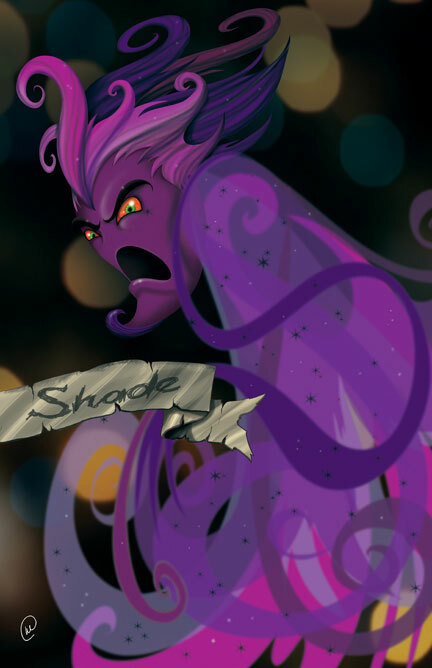 Shade has really been getting me mad! But I LOVE Showcones FREE goodies! We have been trying to find the entrance to Shaddow Falls but it keeps moving. I did find the magic compass and my sources say the map to all of tootsville will be ready this week. 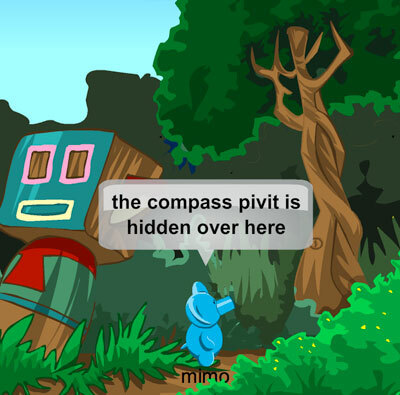 By the way in case you didn't know the compass pivit is in the Tiki area of Safari World, its tricky to get you have to zig zag back into the tree. Here is the first piece of artwork showing SHADE from the creator of Tootsville. This will be part of a new series of prints you can download. 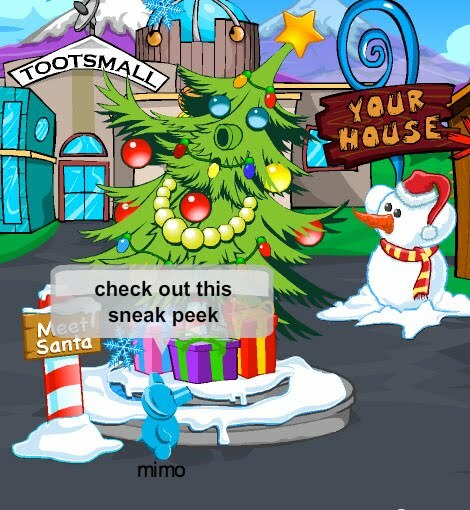 I did get a few sneak peaks at the new tree lot, its pretty cool and you can buy the trees with working lights to put in your house. Hey also they are giving away some cool prizes for thanksgiving so see you there! Log on now and check it out! Cool Mimo! Back to CP though. Is the server shiver? Awesome news, Mimo! Thanks for posting. I think the party server is shiver because you said that it's what happens when you get all cold. YOU ROCK MIMO! 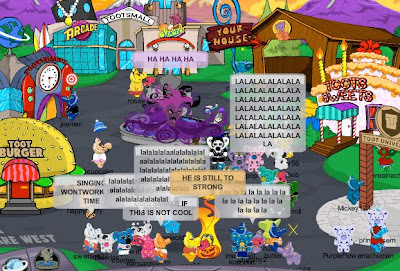 Cool party on CP. mimo i cant get the pivit!!! it doesnt say i got it. =( how d u get it?? Mimo, can you PLEASE help me. How do you take all your awesome screenshots and movies? They are really cool and I just need to know. theres new music on cp! Shade doesnt get PAID! He needs a maid! Mimo the party was awsome! And you did know it!! Oh man! Now i'm a poet!!LOL! metalp10: Mimo! 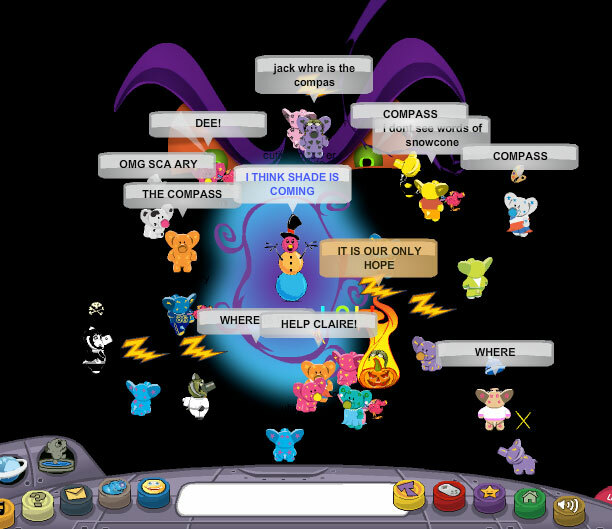 when i went into the mine i could see peoples chat but i couldent see them! I exited and cam back in and they were there! weird! pleasec post and give credit to metalp10. By the way the winter party was awesome and thanks for the card! I got a picture of u to! i missed the party mimo. i couldn't figer out the clues. There will soon be a day for me to leave. My goal will be to get up to be a MEGA MIMO MOD before i leave though. I understand to. Spending to much time on mimo's site when you are getting older, you need to concentrate on academics, it is just getting to busy. Have a good non-virtual life. I think you have to get like Microsoft paint or something. But to take a picture press print screen on your keyboard. It is above the arrow keys at the top of the keyboard. It is virtual world game. Like Club penguin but with tiny elephants. Tootsville is a virtual world where you are an elephant. there are tons of mini games to play. its kinda like club penguin with the MEMBER and NON-MEMBERS. ~~~~~~~~~~~~~~~~~~~~~~~~~~~~~~~~~~~ Mimo has seen similar things such as the blank screen and only penguins names flashing. thats cool though. I wish it would happen to me. I got to go watch my favorite show. Tootsville is a game that Mimo plays! It's just like Club Penguin! The music is called DJ Santa and Christmas Mix! Sorry but the party's already over. Stay tuned for more parties in the future! ~~~~~~~~~~~~~~~~~~~~~~~~~~~~~~~~~~~NOOOOOOOOOOOOOOOOOOOOOOOOOOOOOOOOO! You've helped so many people (including me ;-} )and you could help so many more. Wish you were at the party. It was awesome. I was looking forward to seeing you. You really shouln't quit CPG. If you have time to play CP, then you have time to mod, right? Please stay? Thanks to all the CPG MODS who sent me post cards at the party! I want to thank you all individually. Ray Toolbear, Stickers303, Marquizi98,Safa153,9china9, Zoezoe11, Happywagon, Saavy, and especially Mimo777. Thanks guys! This was my first Mimo party. Thnx again! Congrats to all who went! P.S. Mimo, Marquizi98 really wants you to add him. He's a MOD, but you wouldn't add him. You might want to. You have to go to safari world, go to the left to another area, and keep going back and fourth where mimo is. Hope this helped! You can take screen shots and movies with programs like jing and snagit. Hope this helped! What? OMG! Please think again and again... You are still awesome in Modding! Well, if you are really serious, wont you make a 'CPG MOD BYE PARTY' ?.. Anyway, WE won't forget you, one of first Mega Mimo Mods.. But weren't allowed to go on PC!! I'm just starting and was wondering if I was doing good? You know to say hi! Nice post.And ethanator it is shiver. Yo Mimo, I found a cheat. When you are a ninja meber, and you win all the fire armour stuff, your amulet thingy turns different colours. Awesome!! Hey are thinking about entering that in the newspaper? Tootsville is a virtual world where you get to talk and play games... like club penguin but with elephants.lol best i can explain it. And you know why it is called tootsville? Because elephants make the phunnie noise out of their trunk. Their modo os lets make some noise! Pretty simple! Ok first, anything you like and you want to take a screenshot of, press Print Screen on your keyboard! Second, open up the paint program, go to edit, press paste, and there! You've taken a screenshot! Easy eh? Pretty good, pretty good. Just maybe have the last sentence have more syllables like this, I like snow balls, especially in the warm cozy halls. Sorta, kinda? Oh well lol! That's strange. It might be a glitch Club Penguin has to fix. Mimo has posted about this. you may have to scroll almost all the way down and then click older post to see it. or you can go to the directory thing and find HOT COCOA PIN CHEAT. Hope this helps. I think you are doing REALLY GOOD! I started modding like a month ago and I am already a mod!By the time mimo updates his list you will probably be a Legendary Mod if you keep answering questions at this rate. Safa? How do you get such cool font??????????? I was wondering if you were planning to do a Membership Giveaway Contest any time soon because i really want a membership for the new years party (if there is one) so yea. Ur awesome Mimo. Congratz that u got to go to the party! I couldnt figure out the server lol! You press the button that says "prtsc sysrq" its at the top right of your key board, 2 buttons away from the top right button! hope i helped. OMG! poor snowcone. btw how do u get to shadow falls anyway? Ok I saw some people have replied, so thanks guys! It means a lot lol, I didnt think people would reply. Im still quitting being a CPG Mod BUT I will leave comments here every now and again because I will still be using this site for cheats. I didn't think of leaving a comment every now and again but Kkkkkk123 gave me the idea, so thanks!! Jack is in the photo mimo. Is he trapped too? Thx the cpg mods who answered my comment: What's Tootsville? Thanks! SAAVY DON'T LEAVE! IT"S BAD ENOUGH THAT ZXZ192 IS LEAVING! DON'T GO! I'M BEGGING YOU! Ha! You just got pranked. Im not saavy. i just wanted to see peoples reaction! fooled u! Hes not quiting! Why is everyone singing in the photo? Thanks, i changed the end and sumbited it to CP. Tootsville is an online virtual world where you can hang out with friends, play games, explore, and earn peanuts. A game online a bit like Cp, one of the Mimo games. If Mimo hasn't posted it yet, which he has, then you would know he was either out of town or he's stuck in a well, 'cause he's super at cheats, scroll down you'll find it. Yeah, I know now, I thought it was icicle because he was talking about being cold and stuff and it said you don't want to turn into a....so I thought it was supposed to be icicle. Yup, he is most definatly a boy. please move the language button!